Mark is a Licensed Master Social Worker (LMSW), and Certified Advanced Alcohol & Drug Counselor (CAADC), specializing in recovery issues and diverse populations. After completing his Bachelors of Social Work (BSW) from Eastern Michigan University, he joined the Peace Corps and served as an HIV/AIDS Education Volunteer in Bangkok, Thailand. He obtained his Masters from the advanced MSW program from Wayne State University, with a concentration in substance use & addiction. 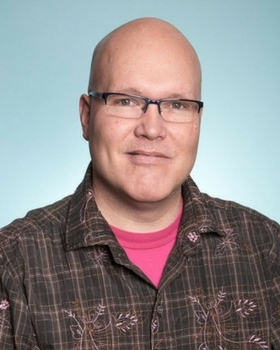 Mark has several years of personal experience working with diverse populations and recovery issues, especially with creating safe spaces that are inclusive and respectful to all. Being in recovery himself from alcohol for over 14 years has allowed him to be an effective liaison within any court system and client probation requirements. In addition to substance use issues, Mark also has experience with a variety of other mental health issues, including depression, anxiety, sexual health, couples and relationships. He is a trained facilitator in a variety of sensitivity trainings and workshops, and has experience working with inclusion & microaggression issues from an LGBTQA+ perspective. He enjoys working with individuals, couples, groups & professionals educating them about addiction & related issues from a spiritual base perspective.